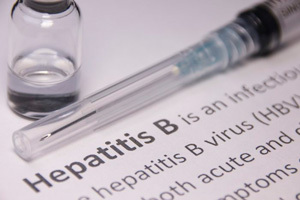 In February 2018, the FDA and CDC approved the recommendation for a new hepatitis B vaccine, Heplisav-B targeting adults over the age of 18. The U.S. Food and Drug Administration (FDA) had twice rejected the application for licensure for Heplisav-B in the past four years because of safety signals. Heplisav-B differs from other licensed hepatitis B vaccines in that it contains a new synthetic adjuvant known as cytosine phosphoguanine 1018 (CpG 1018) composed of short synthetic DNA molecules. In 2016, the FDA rejected an application for licensure for the Heplisav-B vaccine, because the agency was concerned about an increased rate of heart attacks and deaths in people who had been given the vaccine. During the trial, approximately 14 subjects had heart attacks. In July 2017, the FDA committee convened to re-evaluate the scientific evidence and make a decision on whether Heplisav B should or should not be approved for use in the U.S. This committee had only one cardiologist on the team, Milton Packer, MD, who is a distinguished scholar in cardiovascular science at the Baylor University Medical Center in Dallas, Texas. According to Dr. Packer, it was possible that the Heplisav B vaccine’s novel adjuvant was related to the higher number of heart attacks in study participants who received the experimental vaccine. He stated: "To know if the 7 -1 heart attack imbalance represented a real risk, we’d need comparative data in 50,000 people." However, the only way to conduct such a large trial would be to approve the vaccine and see what happens in the public. With Dr. Packer abstaining in his vote to recommend the vaccine, the FDA committee approved it anyway. Dr. Packer stated: "Why did I abstain? Based on the available data, it was impossible for anyone to know if the increase in heart attack risk was real. There is a simple rule in life: if you don’t know, you should say you don’t know." The vaccine is now available to the public, and all those who receive it are basically guinea pigs to find out if heart attacks will result from the experimental vaccine, and if it will continue to have FDA approval. FDA = F#!king Demented A-holes!